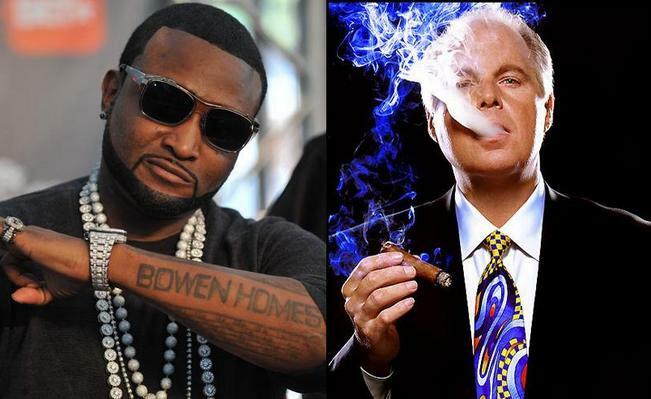 Rush Limbaugh Defends Blacks people! No, not really. I am actually lying. Shawty Lo is getting support from an unlikely source today after the Oxygen network decided to pull the plug on his reality show All My Babies’ Mamas before it even aired. Oxygen had given the show the green light initially to air this spring. It was going to focus on Shawty’s relationships with his 10 babies’ moms and his 11 children. After the show’s trailer appeared online last month a petition was started by Sabrina Lamb of ColorOfChange.org to get the show cancelled. She argued that the show was a stereotypical representation of African Americans. Their petition had gained more than 40’000 signatures by the Oxygen decided not to air the show. “The morality police, the old fuddy-duddies got in gear,” Limbaugh said in regards to the online petition. “The show was simply gonna’ show what it is in terms of this lifestyle and just gonna’ tell everybody what it is. Lo has since started his own petition begging that Oxygen re-think their decision on grounds that the show is essentially keeping his 11 children off welfare. You can watch the trailer for the show. Previous Post Is this inappropriate? Personally, I’ve had just about enough of all these ‘reality’ shows and people (a) putting their private business out there for all to see and (b) any TV show that doesn’t do being Black any favors so, no, keep it off the air.